Reading Chinese novels in the West. The Macau Ricci Institute asked me a few months ago to prepare an article on contemporary Chinese literature and the West. 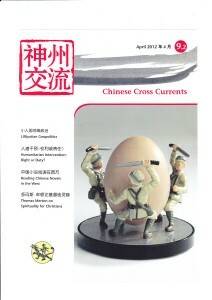 This text has been published in English and Chinese in the April issue of the journal “Chinese Cross Currents.” This magazine has posted the article which was written after a dozen interviews with editors and translators in England, France and the United States.